Severe weather can seriously damage your residential or commercial property. If disaster strikes your home or business, call SERVPRO of Greene County. We are available 24/7 and ready to respond to your storm damage loss. If your home or business has a serious mold problem, give SERVPRO of Greene County a call. We have the team and equipment to properly restore your Greeneville, TN, property back to preloss conditions. 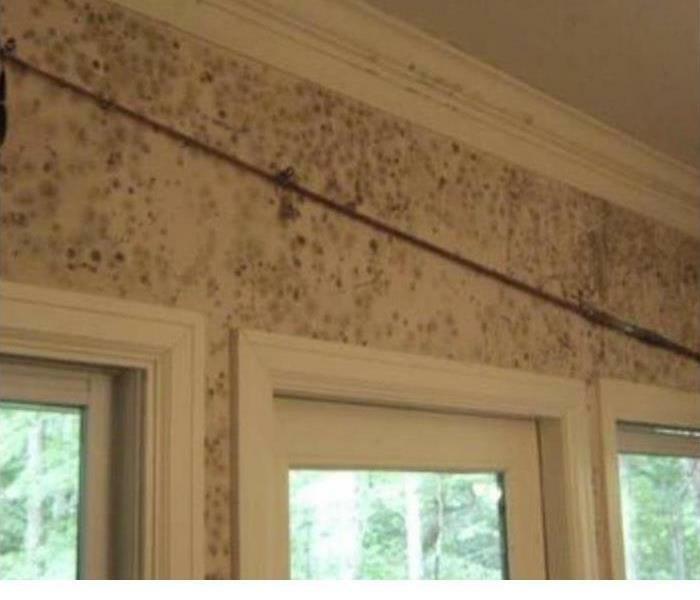 Check out these mold damage tips! 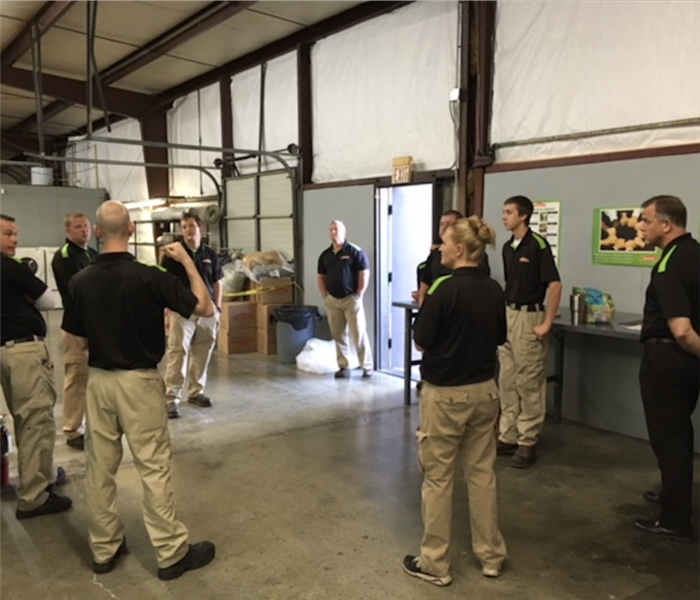 Our SERVPRO of Greene County is getting ready for a busy day! Our team is always available to help you if you experience a loss on your residential or commercial property. We are only one call away, (423) 638-1104. 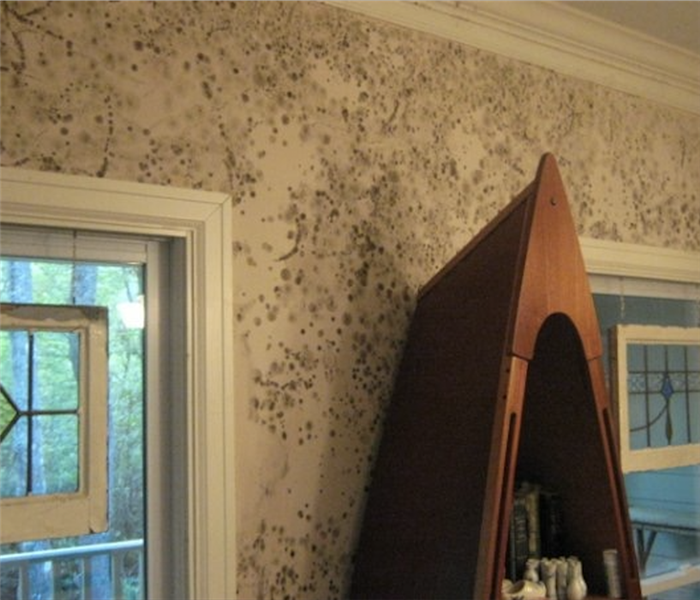 Mold can be extremely harmful to the people around it. 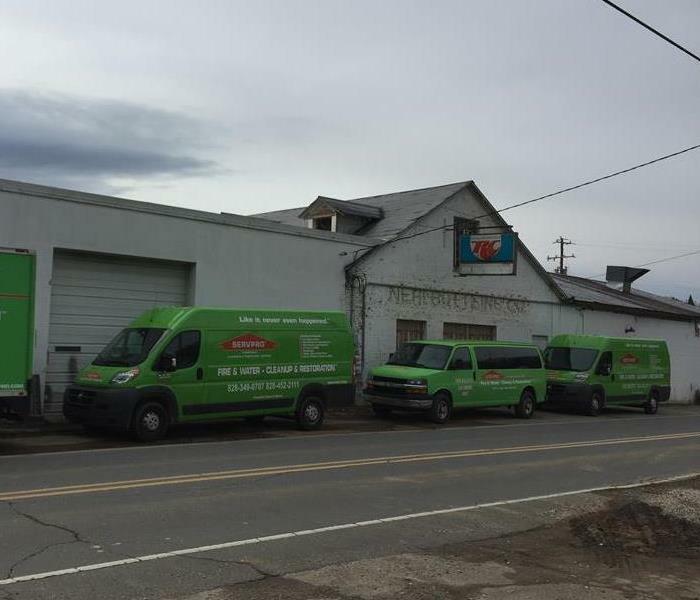 If you as a home or business owner suspect a possible mold infestation on your property, please give our SERVPRO of Greene County team a call. Our team has the expertise and equipment to properly take care of your mold problem. 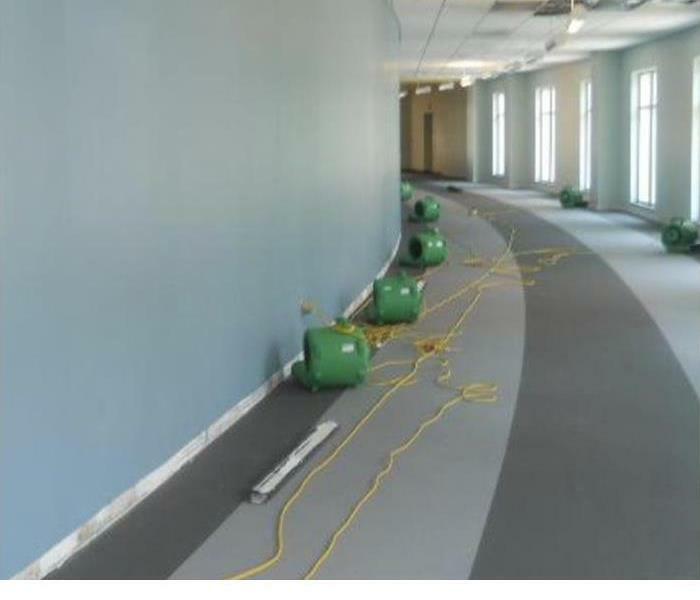 Our SERVPRO of Greene County team is in action and working hard to make this commercial damage "Like it never even happened." If you experience fire, water, or mold damage to your commercial facility, give our Greene County team a call. 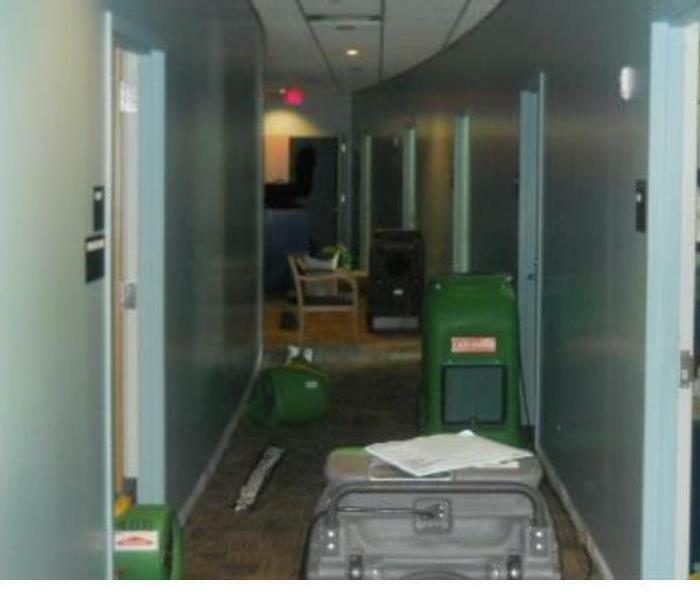 If you have discovered a mold infestation in your home or business, call SERVPRO of Greene County as quickly as possible. 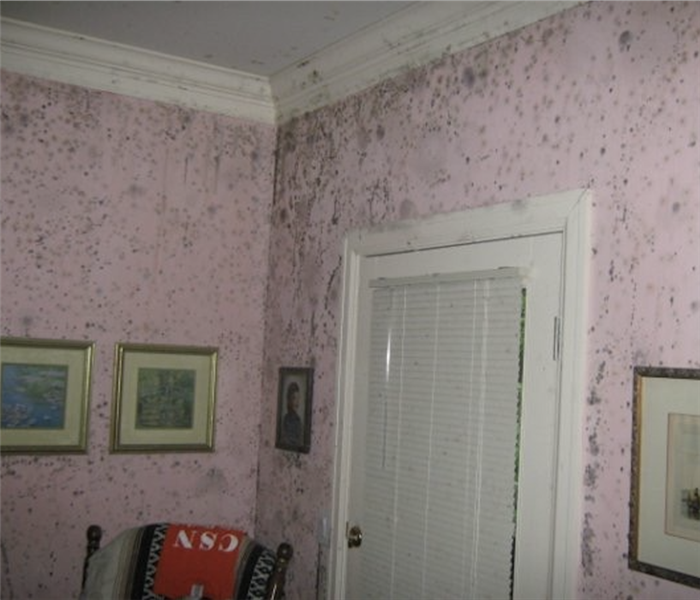 Our team can properly remediate your mold infestation and make it "Like it never even happened." 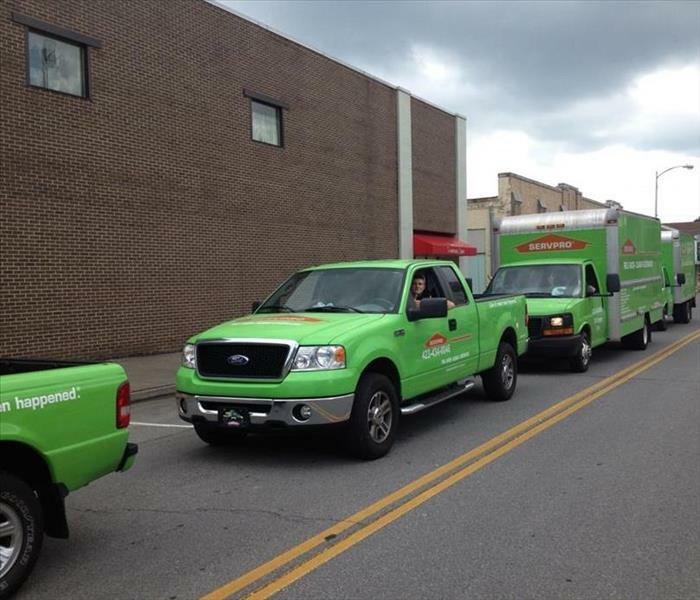 Our SERVPRO of Greene County team is always on standby and ready to respond to ANY size residential or commercial loss. Our team is proud to serve our community! If you have any questions, please give our office a call! A water loss of any size is stressful for you and the people around you. 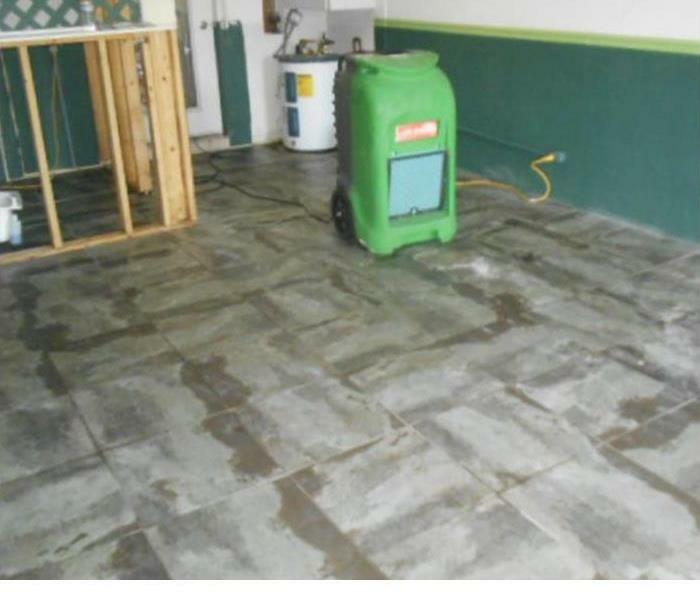 If you experience a water loss, make sure and give our SERVPRO of Greene County team a call. 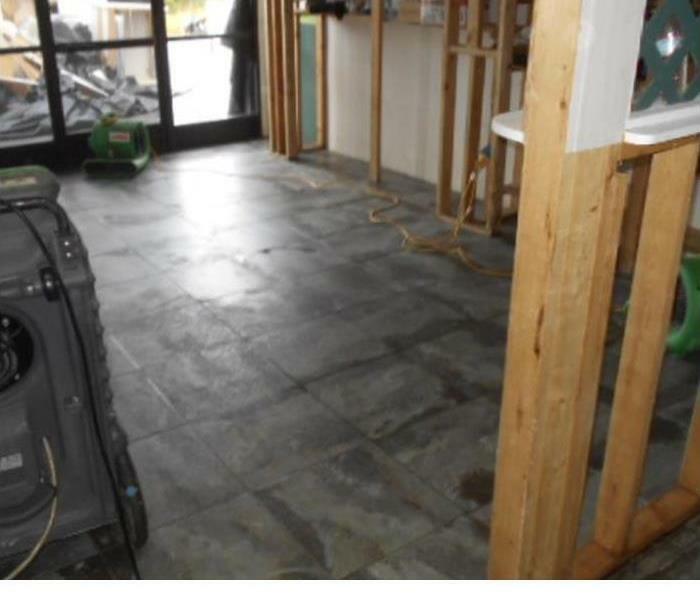 We will make your water damage "Like it never even happened." 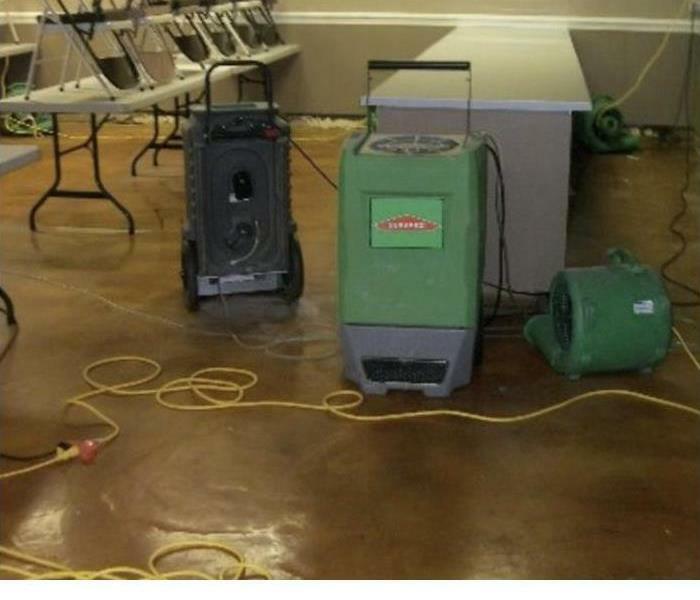 SERVPRO of Greene County has the best team and equipment around to make ANY kind of mold, fire, and water damage "Like it never even happened." Give our Greene County team a call anytime, we are available 24/7/365. 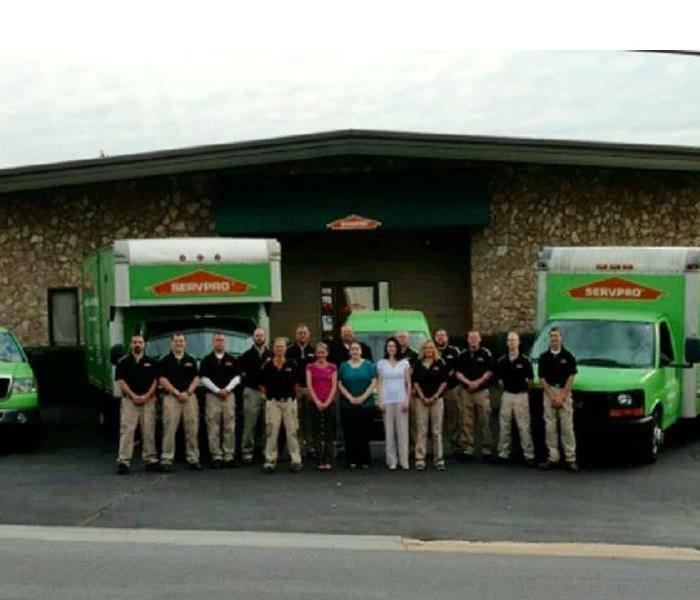 SERVPRO of Greene County is always on standby and ready to help when you find mold in your home or business. Moldcan be very harmful and if left untreated can cause many negative health effects. If you find mold in your home or business, give SERVPRO of Greene County a call! When the inconvenience of water, fire, or mold damage occurs, it is important to know who to call. 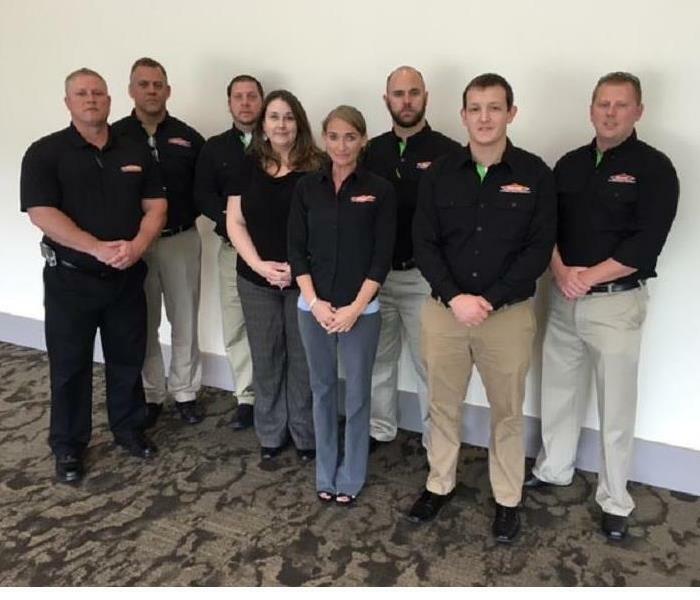 Our SERVPRO of Greene County team is available 24/7/365 and ready to help whenever you need us! 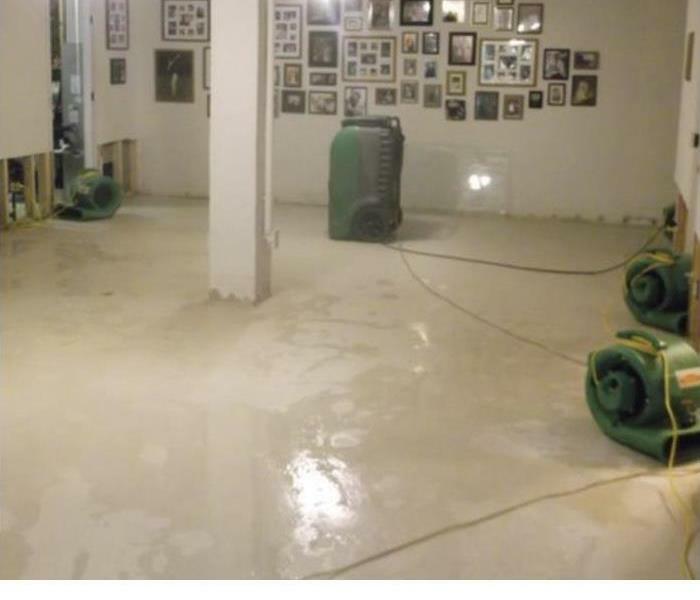 To save these residential wood floors from water damage, we put our floormat system to work! 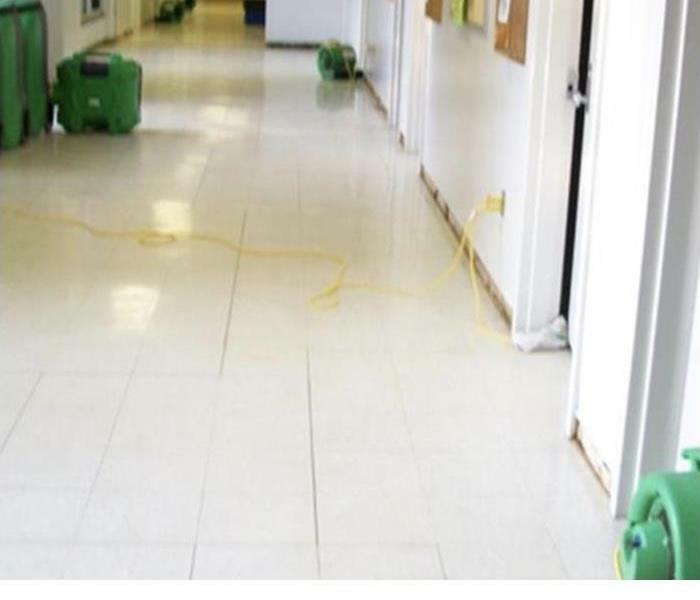 Water damage restoration and cleanup is only one of many services we offer. 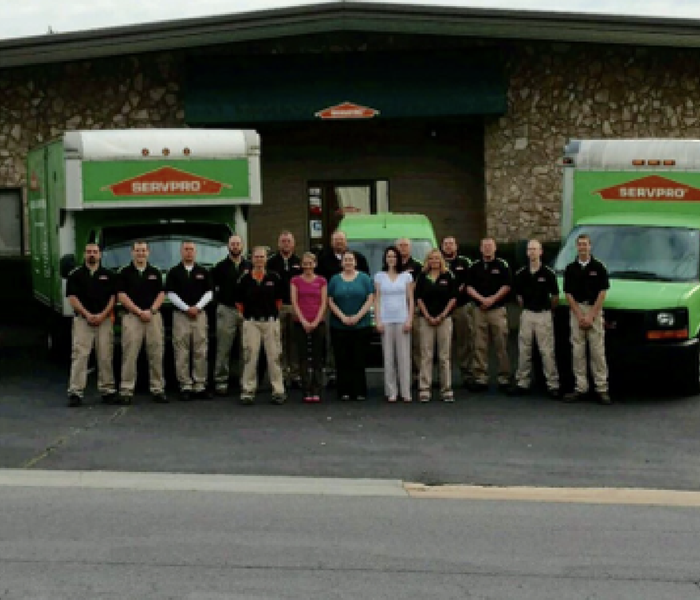 If disaster strikes, our SERVPRO of Greene County team is Here to Help. SERVPRO of Greene County is always on standby and always available. Disasters always strike at the most inconvenient time. Our team prides ourselves with Fast 24 Hour Emergency Service. 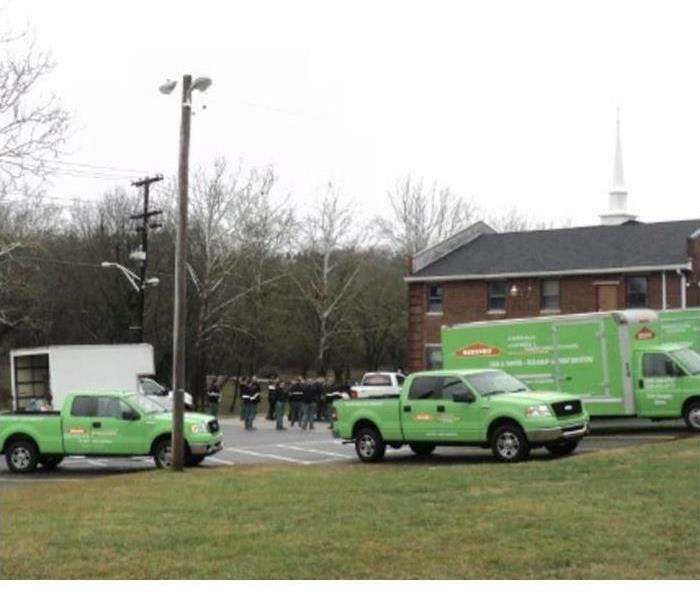 When disaster strikes, call our SERVPRO of Greene County team. If you've recently suffered a fire loss in your home or business, you know how stressful it can be. That is why our SERVPRO of Greene County team has the best team and equipment around to make your fire loss "Like it never even happened." SERVPRO of Greene County crew is on the way! Residential or commercial property, 8 am or 8 pm. No matter the size, we are always prepared to take care of our customers. It’s never a convenient time for you that is why we are sure to always be ready. Call someone who can take care of you no matter the size of the damage. Family owned and operated. When the ductwork in your home or business needs cleaning, give the pros at SERVPRO a call. Regular cleaning and maintenance will not only help to prolong the life of the equipment, but will also help improve the quality of your air. Our team is always ready to respond to your call when you have experienced a disaster. You can depend on our team of highly trained professionals to respond quickly to your call. We are faster to any size disaster. When you need to get in touch with a professional restoration company to handle a disaster you've experienced in your home or business, give the team at SERVPRO a call. We are always ready for whatever happens. When you need a company to handle the restoration after your disaster, you want an experienced, knowledgeable team of professionals. Our IICRC certified team of technicians have the training and experience needed to handle your disaster. Keeping your ducts clean can extend their life and improve your air quality. It can also save you money over time. 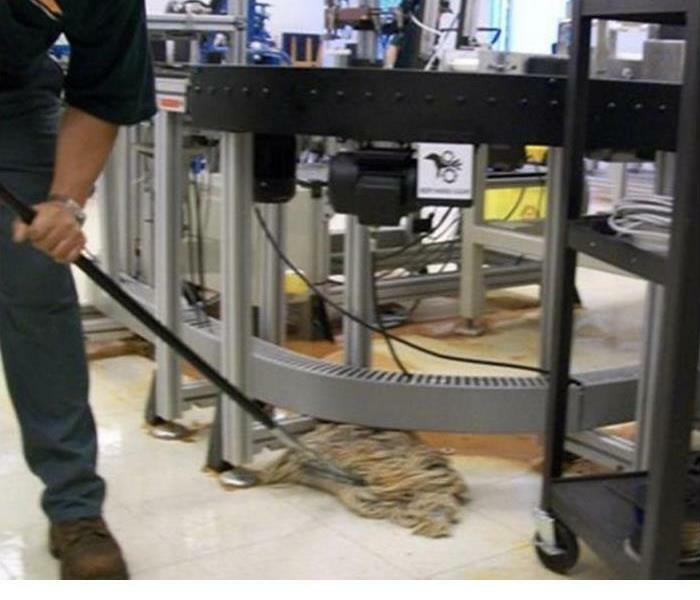 We offer cleaning services that include duct cleaning. 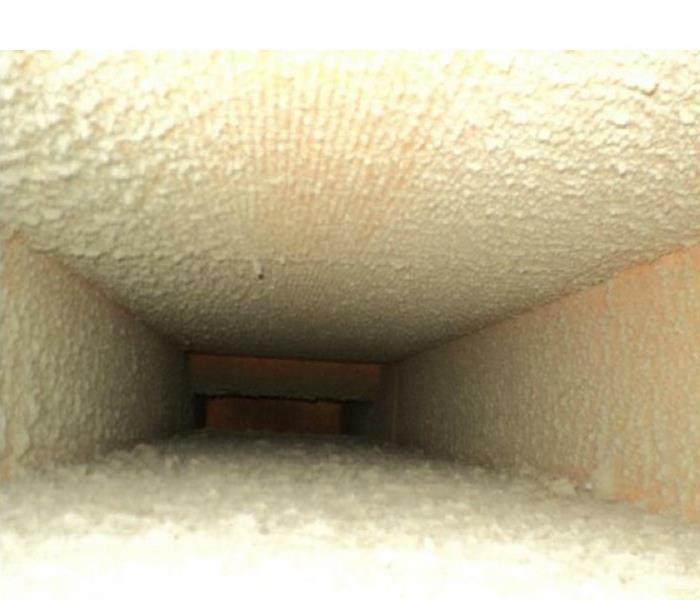 So, if you need your ducts cleaned give us a call! The charred rafters pictured here were caused by a large fire that impacted this structure. Our team was quick to respond and immediately got to work removing the soot and debris and making repairs to the structure. The first priority of our team when we arrived at this facility was to extract the water you see standing in the floor. 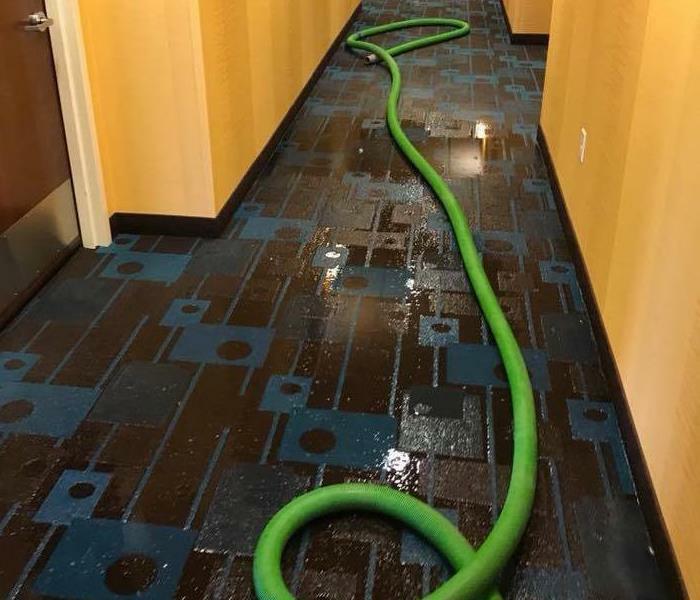 The room was flooded when this building experienced a heavy water loss. The damage you see here was caused by severe storms that impacted our area. As a result, this building was left severely damaged. Our team was brought in to repair the damage. If you experience a storm loss, call us! Often you will see us using drying equipment like you see pictured here. The reason for this is that moisture that is left for more than 24-48 hours can cause secondary damage such as mold. 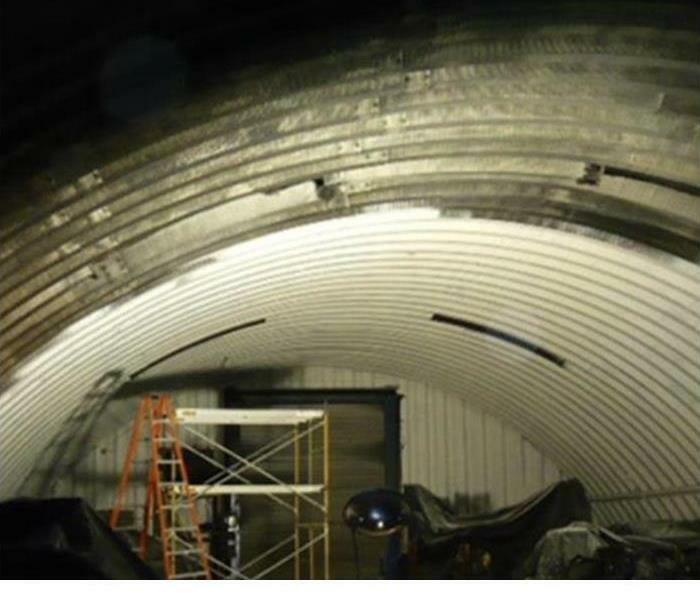 Our team was brought in to handle the cleanup and repair of this facility after it suffered a large water loss. We responded quickly and had the facility back up and running in no time. No matter how big or how small the job we can do it. Our team is trained to tackle even the toughest jobs, residential or commercial. If you have a water loss, give us a call. As you can see in the picture, this facility had a lot of water still standing in the floor when we arrived following a large water loss. We got it cleaned up and repaired quickly for them. 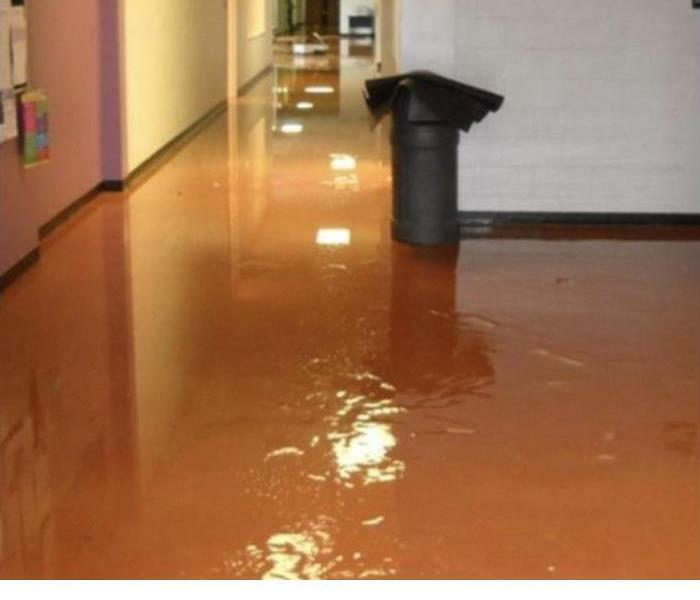 Our team was called to this school to clean up after a water loss. We got them back up and running quickly. If you have a water loss situation we can help. Give us a call! 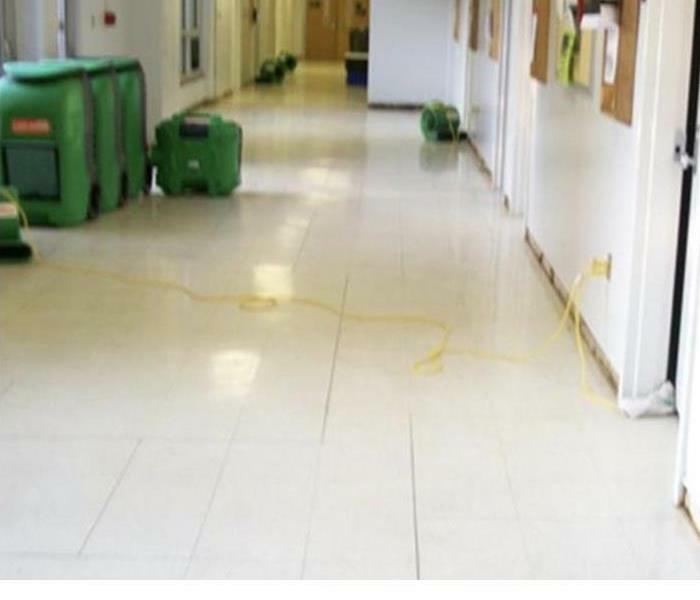 We were called to this facility to clean up water and repair the damage that it caused. 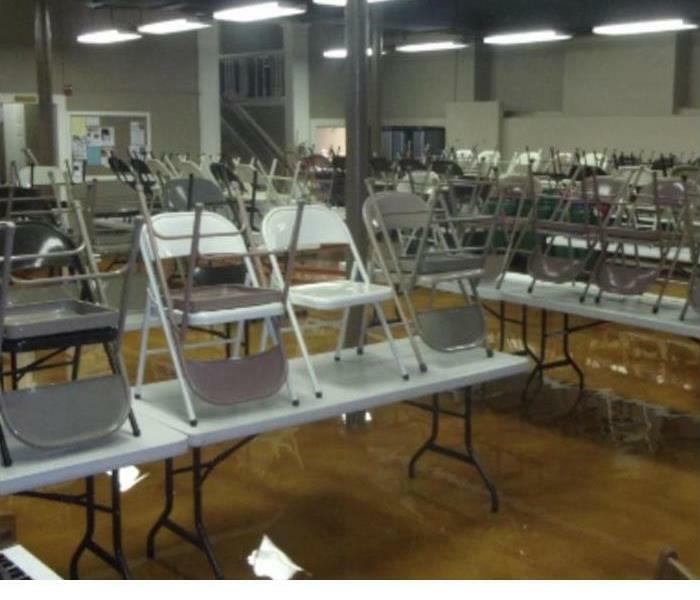 There was water still standing in the facility when we arrived, but we were able to get it all cleaned up quickly. 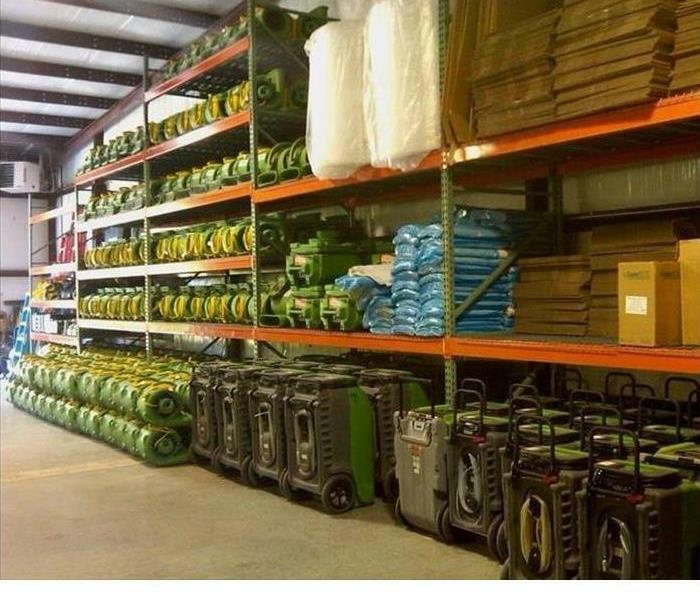 The fans and air scrubbers pictured here are just part of the equipment that we use to make sure the job is done right when removing water after your loss. Call us if you experience a water loss. 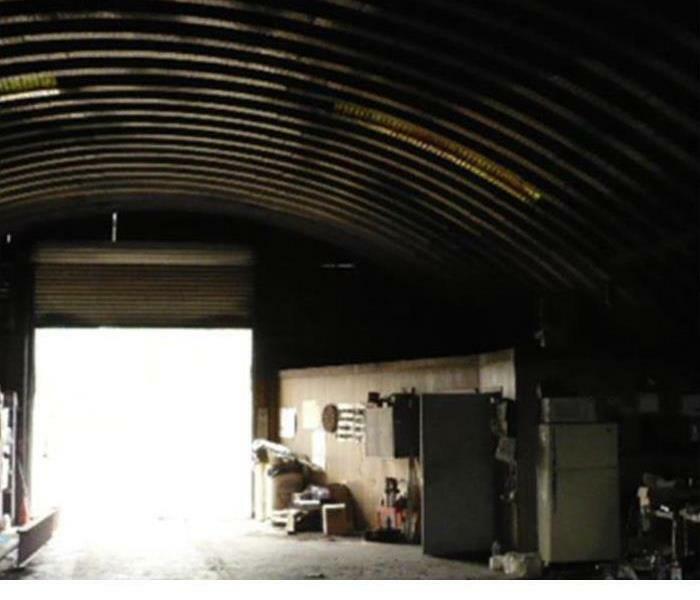 The facility in this picture suffered a heavy water loss situation. Our team responded and was able to get the water cleaned up and the damage repaired in a short amount of time. 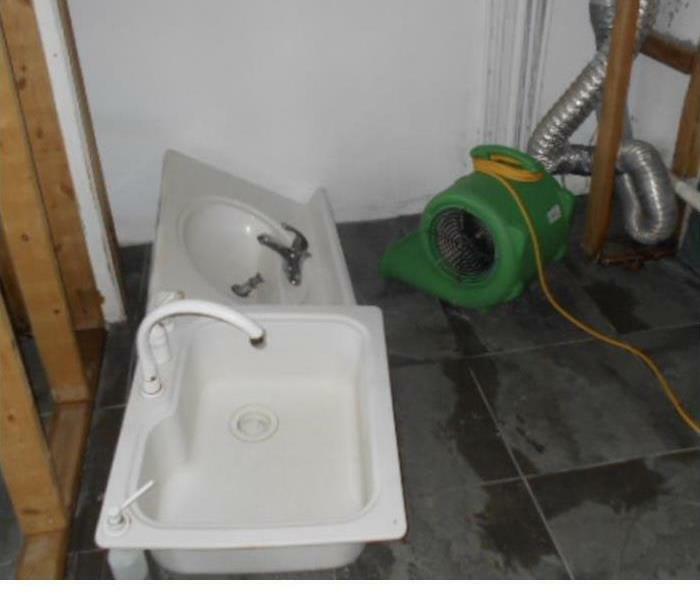 If you have water damage, call us! 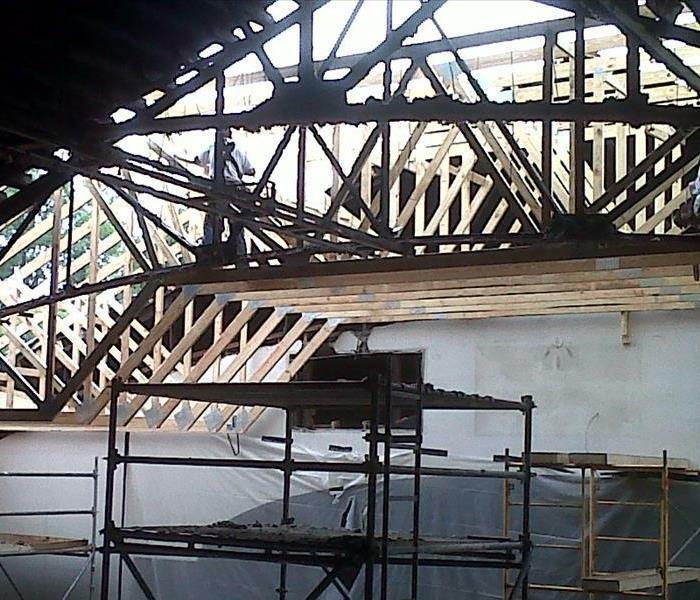 We are experts in restoration of storm damaged structures. If storms have damaged your home or business, then call us. We are faster to any size disaster and will be there when you need us. 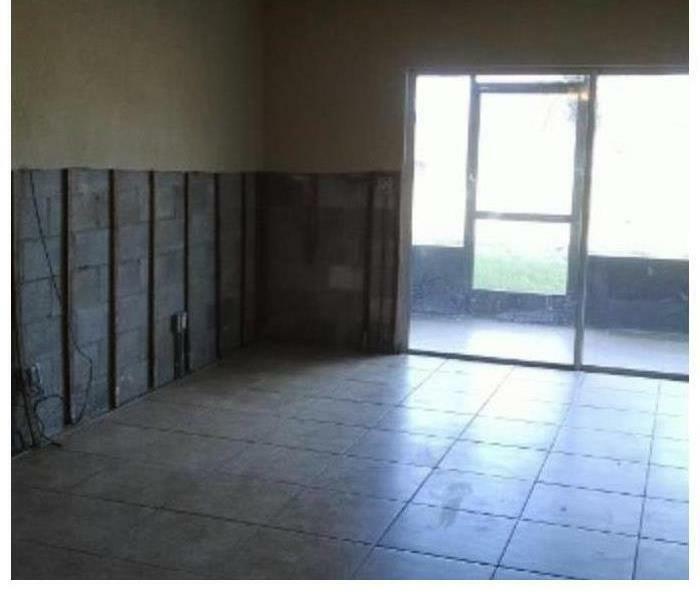 This home had a lot of damage to the floors and walls from storm water that entered during severe storms that dumped large amounts of rain in a short time. This picture was taken post demolition. 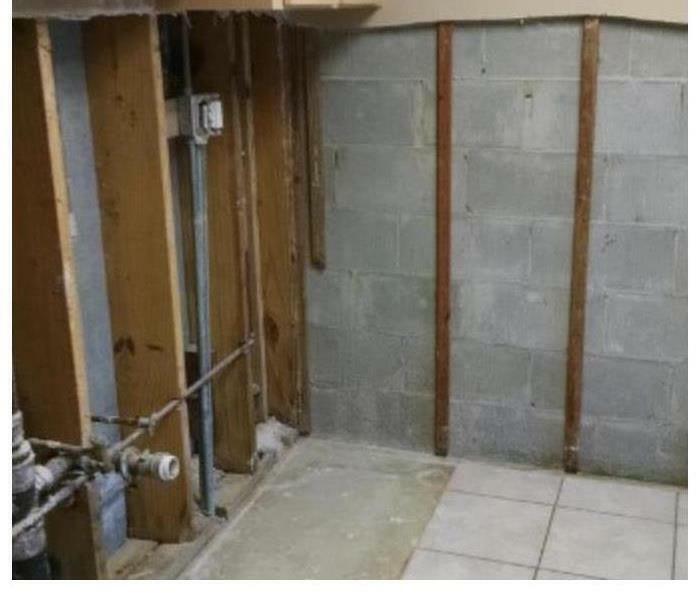 One of the ways that we deal with damage from storms that push water into your home is to perform flood cuts about the flood line so that we can remove damaged drywall and insulation. Storms can cause a lot of damage in a short amount of time with high winds and heavy rains that can cause flash flooding. 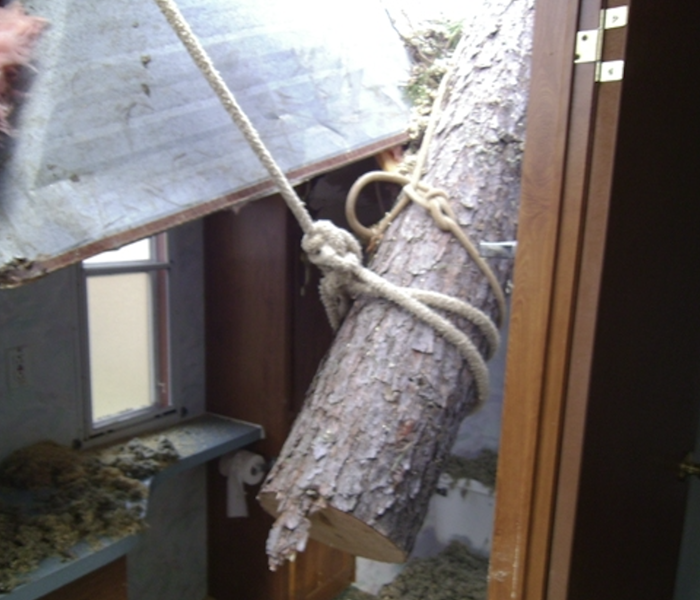 If your home is affected by storm, give us a call. Severe storms that impacted our area caused a flood water intrusion into this structure. Our team came in and removed the water and repaired all of the damage quickly. We are ready for whatever happens. A storm water intrusion into this structure from severe storms that impacted our area and caused flash floods affecting multiple structures in this area was the cause of the damage you see in this picture. 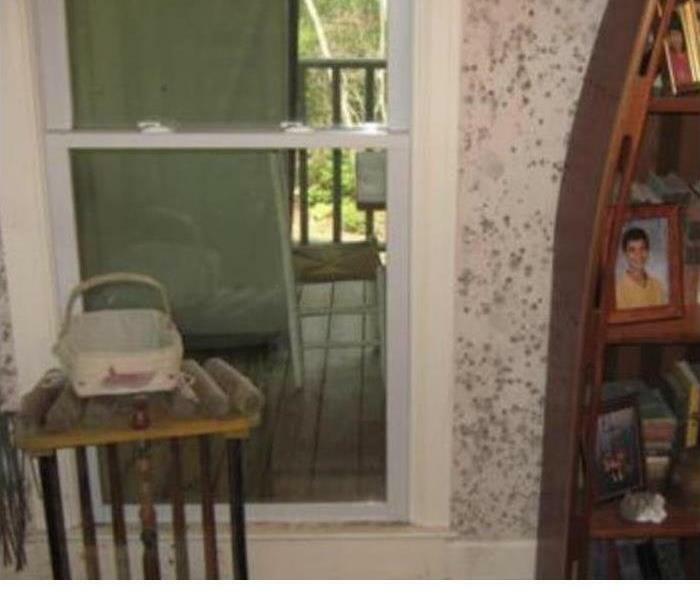 This chair was just one of the items that was affected by mold in this home. 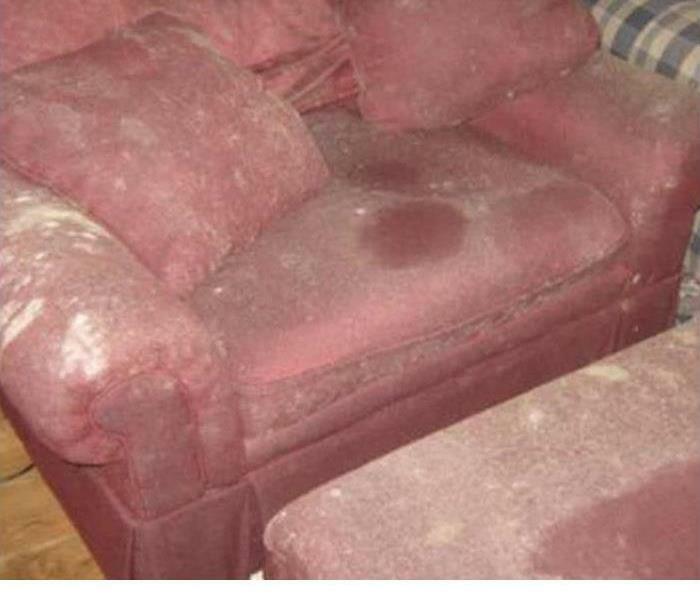 We were able to remove the problem and restore this furniture and we can do the same for you. Our team was called to remove the mold in this home. 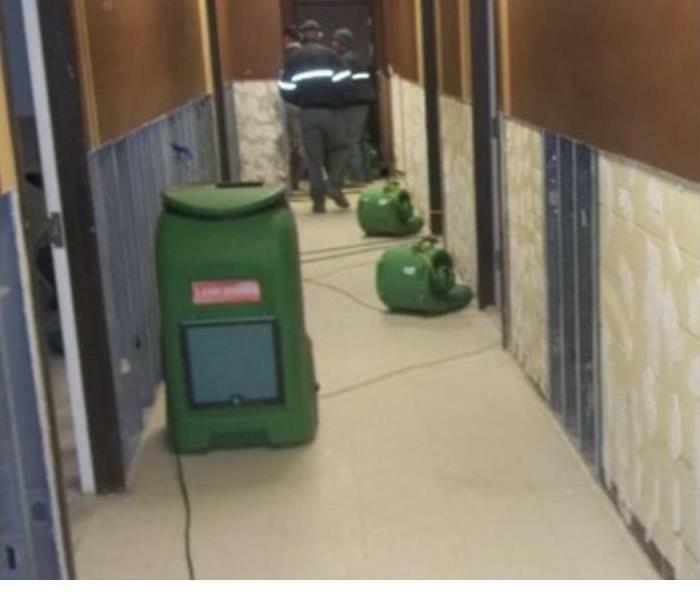 We came prepared with containment barriers, fans, dehumidifiers, and HEPA filtered air scrubbers to remove the mold and the moisture that was the root cause. 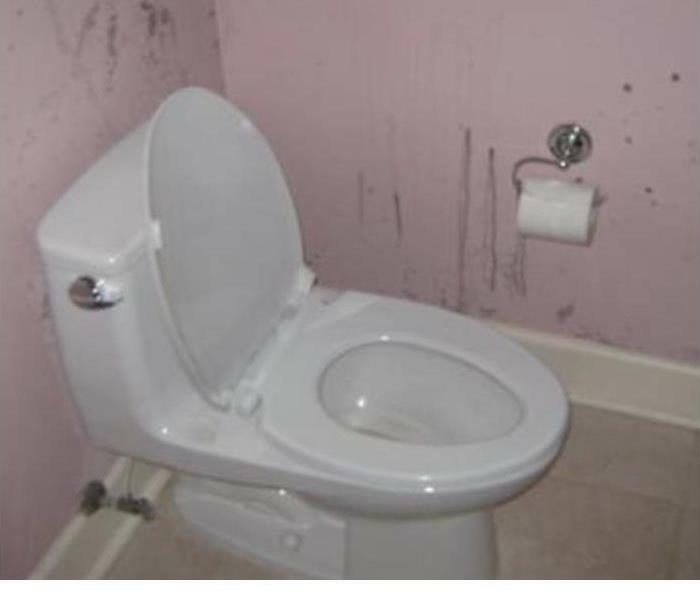 A leaking pipe in the wall of this bathroom caused a moisture problem that resulted in the mold that you see here on the wall. If this ever happens to you, our team can help. This bedroom had a large mold problem that we were able to repair in a short amount of time. 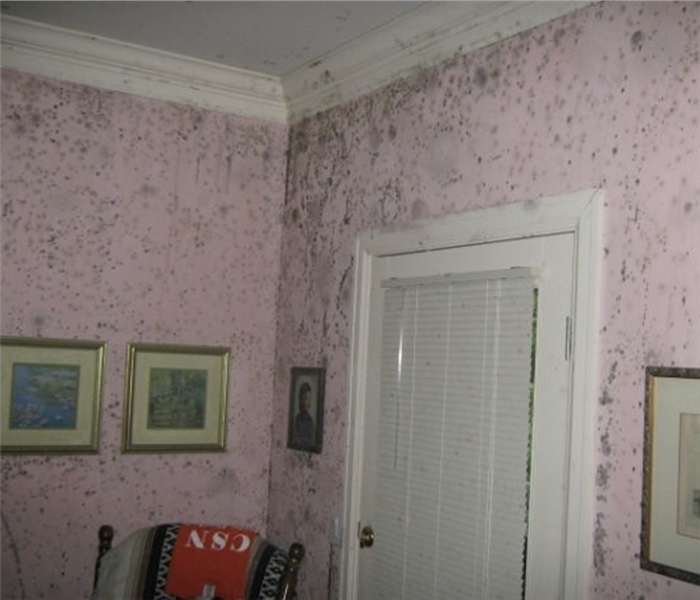 Our dedicated team of highly trained professionals can help remove the mold in your home too. Our technicians were called to this home to remove mold that was caused by a moisture problem that was left unchecked for a while. 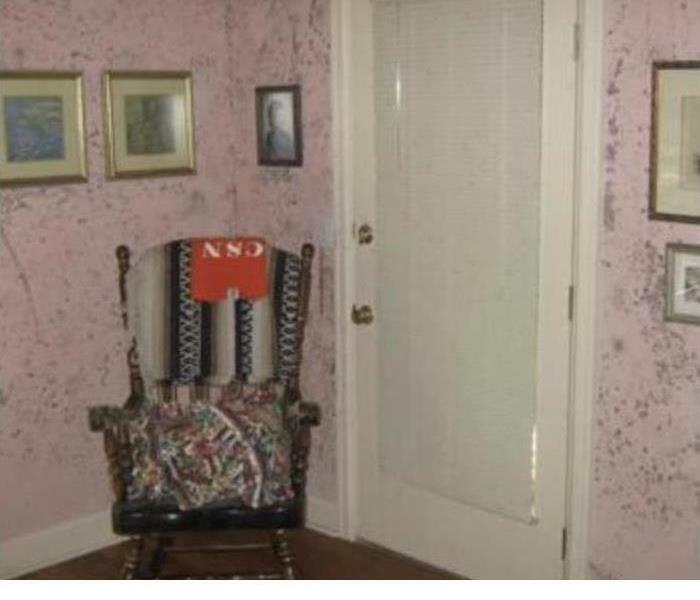 Mold like this can get out of hand quickly, and when it does you can depend on SERVPRO to fix it. Undetected moisture can cause big problems. 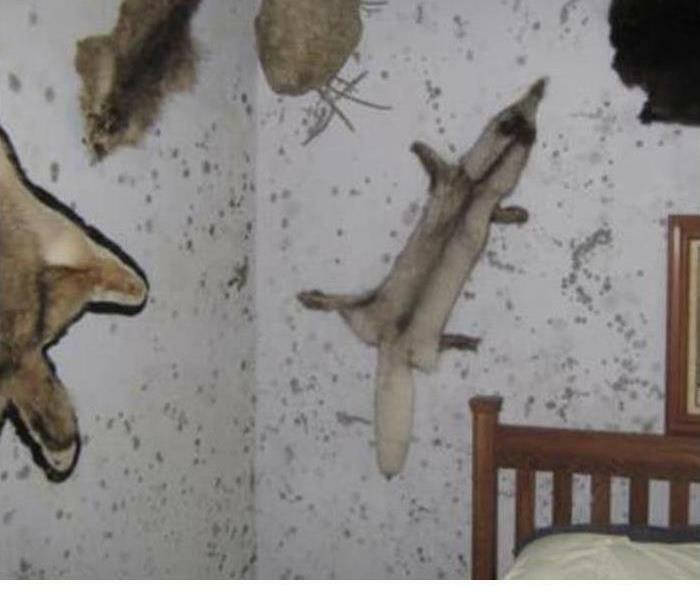 One of those problems is mold, such as you see here. This is why we always perform wet checks to find the hidden moisture that you can't see. 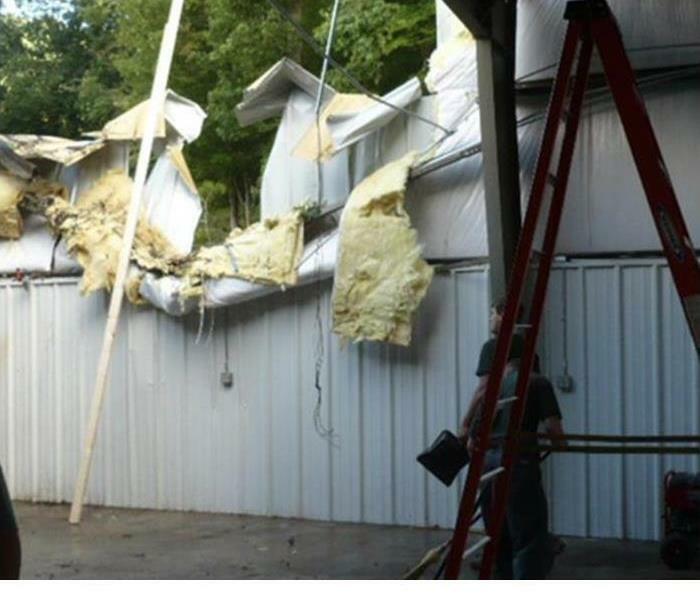 The damage to the facility in this picture was caused by a large fire that broke out here. 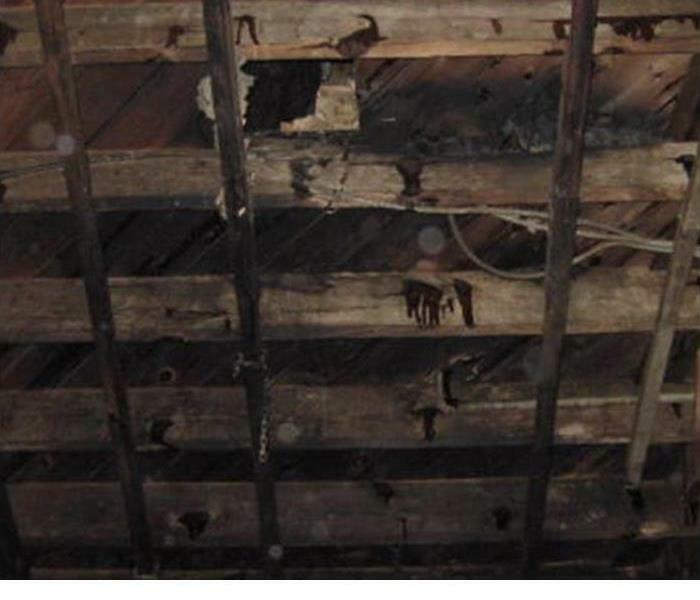 We removed all the soot and debris and repaired all the damage. If you have fire damage, give us a call! 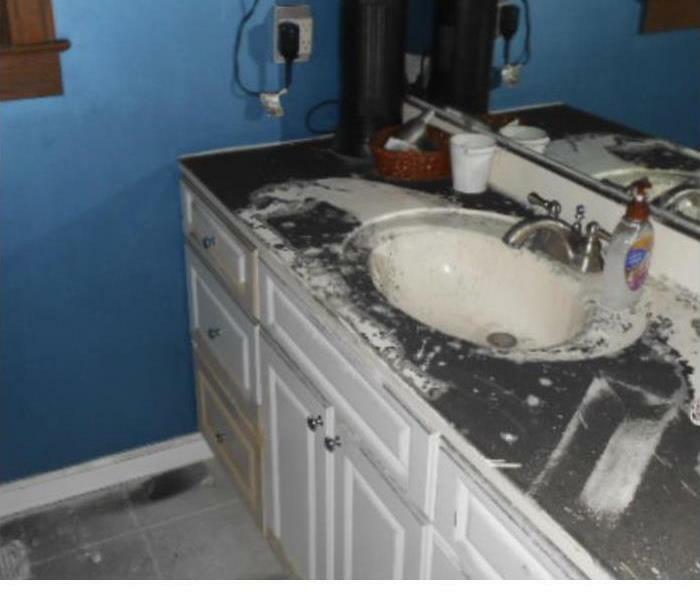 This bathroom was covered in soot from a fire that did a lot of damage to this home. Notice the amount of soot that was left behind. We were able to get this cleaned up quickly. This facility was damaged by smoke from a fire that occurred here. After removing the soot and debris, we repaired the damage done by the smoke and the fire and got them back up and running. In this picture, you can see some personal contents that were damaged by a large fire that affected this home. 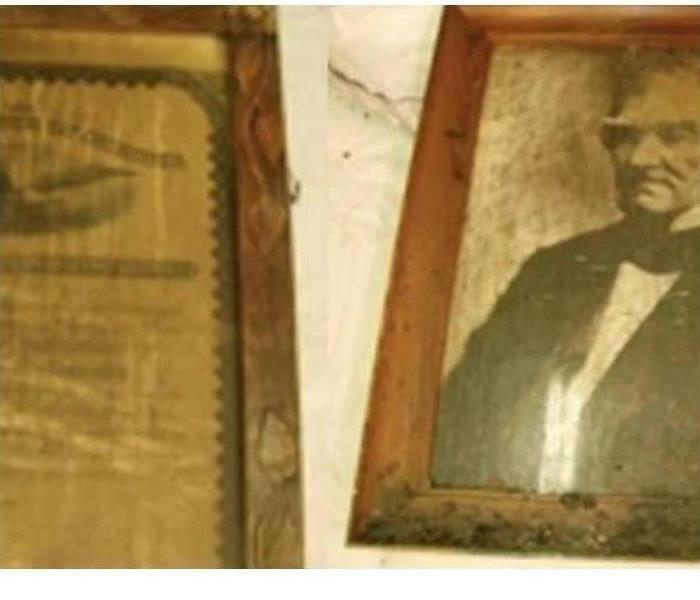 We were able to restore these items, as you can see, and the owner was pleased. This home had a large fire that tore through the interior and burned right up into the rafters as you can see in this picture. 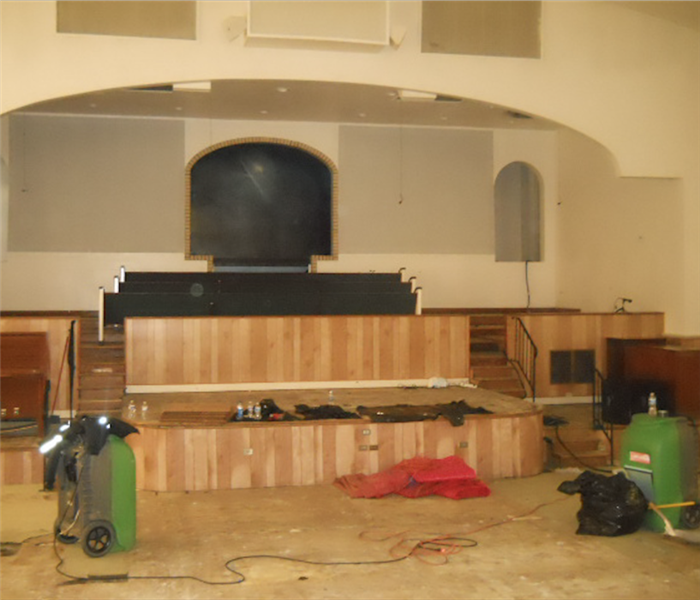 Our team worked diligently to repair the damage and make it "Like it never even happened." We are ready to take your call any time day or night and we are stocked with the equipment we need to perform any size job big or small. When you need us, just give us a call! 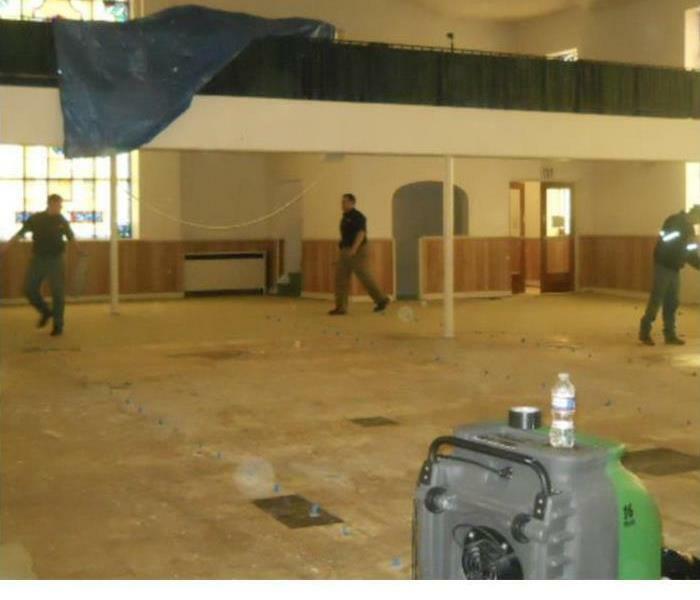 A large water loss situation occurred in this church that caused a lot of damage to the facility. Our team responded to the call and was able to remove the water and repair the damage in short amount of time. In this picture you can see equipment in place for the purpose of removing water from this facility after it suffered a large water loss. We were able to remove the water and get this facility back up and running quickly. 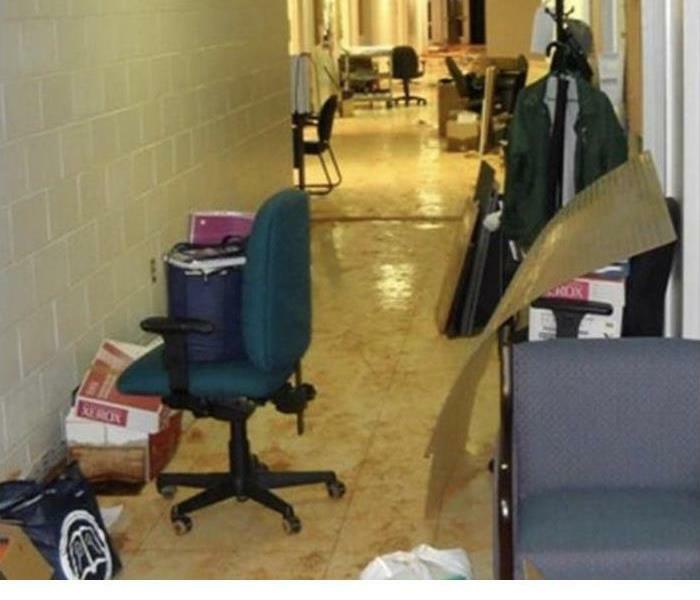 This facility suffered damage from a large water loss. Our team is trained and equipped to handle restoration of commercial properties following losses such as this. If you have a loss like this, call us! We are experts at fire restoration. Check out these before and afters of a recent fire restoration job we did on this furniture. 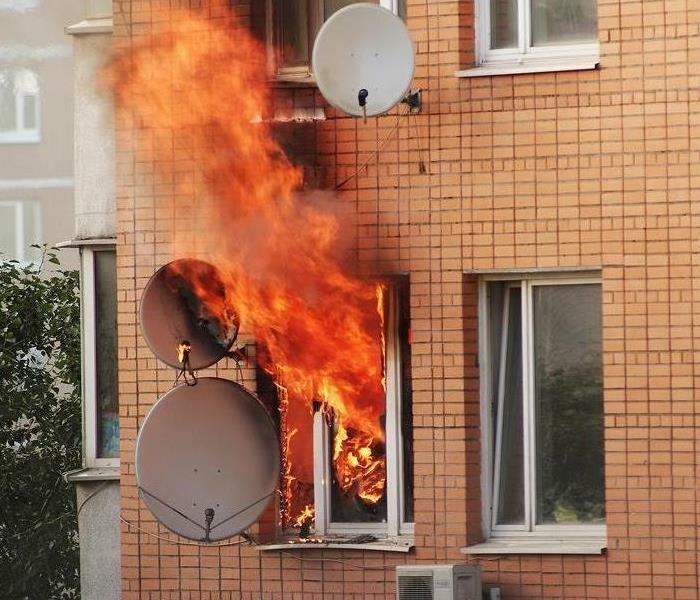 If your home or belongings are damaged by fire, we can help! Always Ready for Fire and Water Damages. No matter what time of day! If you have a fire or water loss, give us a call and we'll be there. We are faster to any size disaster. 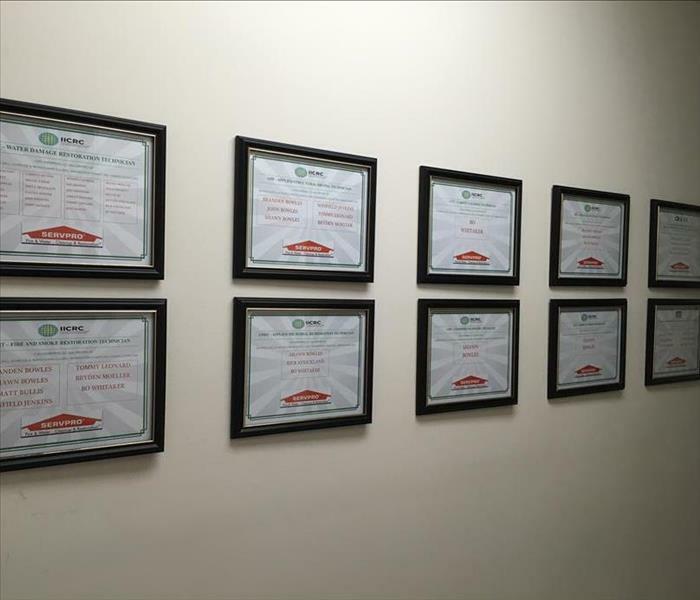 We have earned 57 industry certifications including 40+ IICRC individual certifications throughout our 4 franchise large loss team! We love our team! If you are looking for a knowledgeable team of professionals, then call us!